Targeting aging skin problems like: Wrinkles, Telangiectasia, Excess Hair, Sagging Skin, Hyperpigmented Spots, and Skin Rejuvenation. 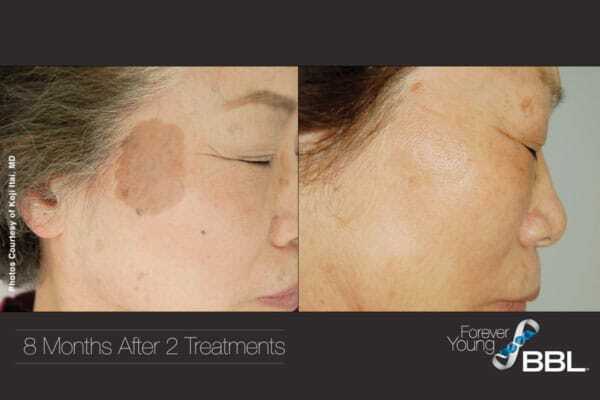 The scientists and dermatologists in Stanford University – USA have done two extensive studies about BBL Forever Young. 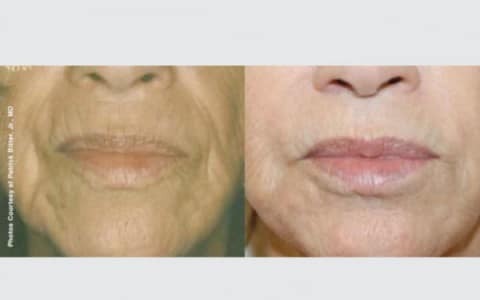 They found out that BBL delays skin aging by affecting the genes responsible for the aged skin cells and after 3 sessions with one month interval in between BBL was able to rejuvenate the genes in these cells, and make them behave more like youthful cells.The second study was about the long-term effect of BBL Forever Young. The scientists found out that BBL essentially slows down or stops the visual aging process just by performing 2 to 4 treatments per year. BBL uses low-frequency photothermal energy to safely and gently heat deep layers of the skin. Damaged cells absorb this energy and are stimulated to generate new collagen – an important building block of healthy-looking skin. 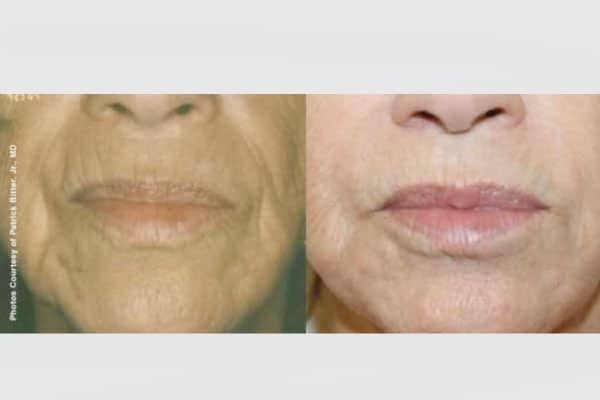 BBL uses a broad range of energy wavelengths to allow for more complete improvements and evenly treated skin. A thermoelectric monitoring system adjusts the temperature of during the procedure, eliminating the need for pain medication and ensuring that you remain comfortable during the treatment. During your consultation, we will thoroughly assess your skin. Based on this information, our dermatologist will develop a step-by-step plan to help you achieve the results you are looking for. The treatment is very gentle and requires minimal downtime. No anesthesia is needed, but you will be provided with eye-wear for protection during the procedure. Our dermatologists typically perform treatments. Your treatment provider will apply the BBL hand piece to your skin and deliver precise pulses of light energy to the treatment areas. This can produce a light stinging sensation that is usually well-tolerated by most people. The time consuming is dependent on the space of treated area. What Is Involved in Forever Young BBL Treatments? Each treatment takes approximately 15-30 minutes. 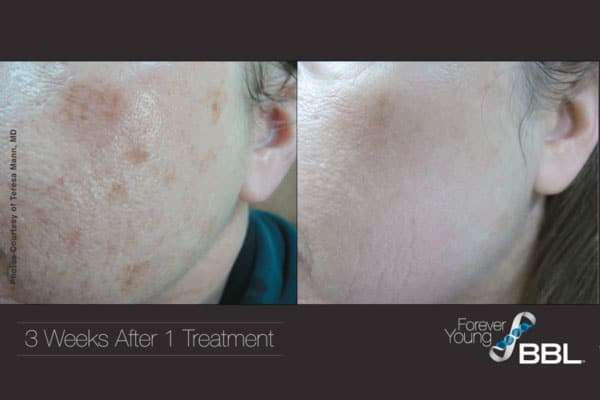 Immediately following a treatment, the skin may appear more red and flushed and the brown spots generally appear slightly darker. Over the next several days, the brown spots darken and then subsequently “flake off”. Any Special Recommendation After Treatment? You will be asked to wear sunscreen for several weeks after the treatment in order to protect your skin as it heals. The skin may appear flushed for a few days after BBL and certain dark spots may become darker. This can be covered with makeup and will resolve within about 10 to 14 days. Within a few weeks, your skin will look brighter, clearer, and more youthful. 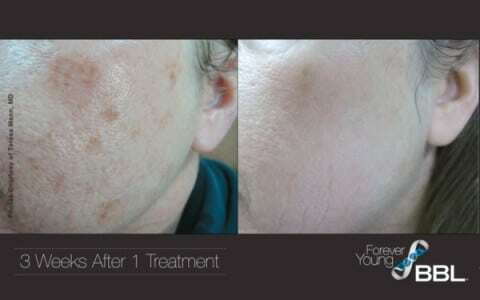 Your skin can be further improved with subsequent BBL sessions, usually between 3 and 5. 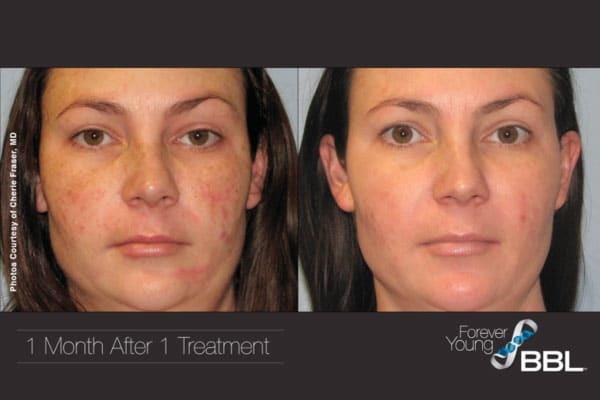 Even after your first treatment, your skin can feel smoother and will have more even tone. Improvement is gradual and will continue to be more visible after each treatment. Many individuals experience dramatic results only after 1-2 treatments. Some patients will benefit from additional maintenance treatments. 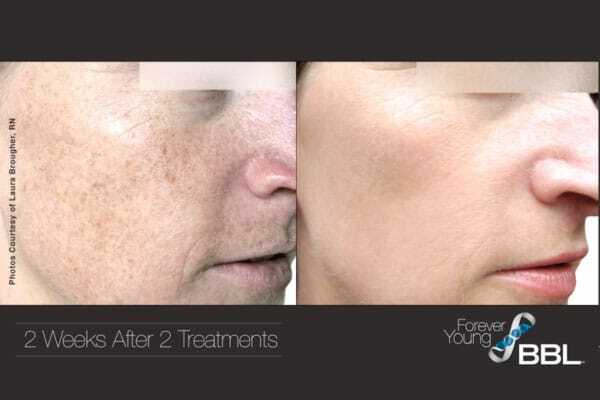 What Are the Benefits of Forever Young BBL? Zero downtime – Patients resume normal activities immediately. 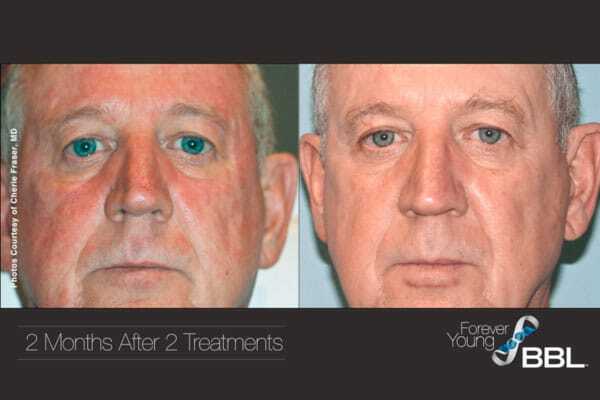 Long lasting results – Studies include patients treated 10+ years ago. 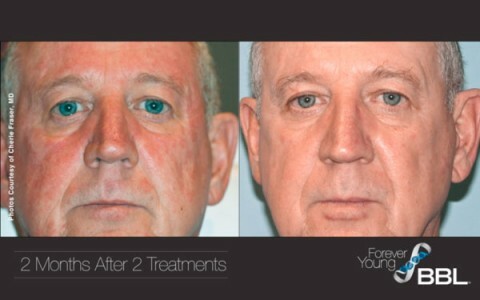 Fast treatment – Average treatment time of 12-15 minutes for a full face. Effective on all body areas – Face, neck, chest, arms, hands and legs. What Is Its Effect on Rosacea and Photo Aging Skin? 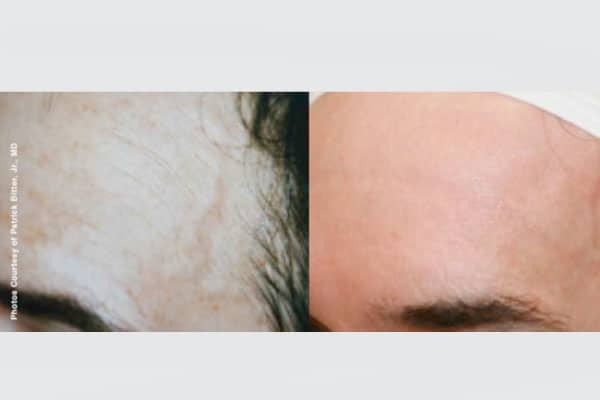 Rosacea: The treatment reduces the overall redness, flushing and tiny blood vessels, associated with the condition and often improves acne breakouts which are common. 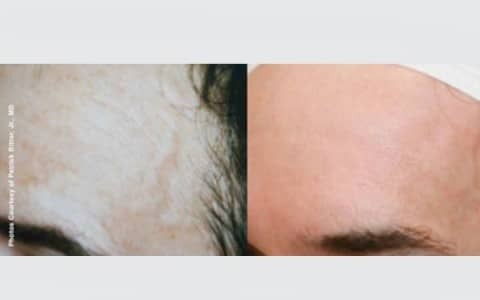 Sun damage to the face (photo-aging): The treatment reduces freckling and irregular pigmentation and creates a more smooth appearance to the skin and even some reduction in pore appearance. Sun damage to the chest and back (photo-aging): Treatment reduces the freckling and irregular pigmentation to the chest and/or back and improves the overall appearance of the skin. It also reduces the redness on the chest associated with excessive sun exposure. Sun damage to the hands and arms (photo-aging, also called “liver spots”): The treatment reduces the freckling and irregular pigmentation to the hands and even the arms, with improvement in the thin-skin appearance of sun damaged hands.